Can you take a photo for each one of these wintery words? Dig out your bobble hat, grab your cosy mittens and put on another pair of socks – winter is coming! And with it comes some amazing opportunities for photographic magic – yep, it’s time to head out in to the frosty landscapes with our trusty cameras. 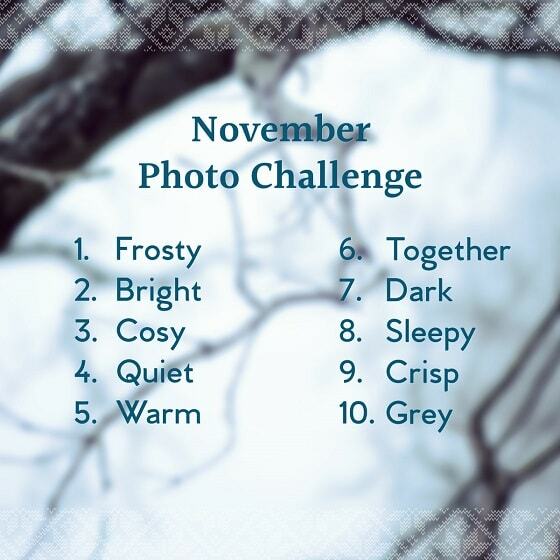 To help inspire you we’ve created a winter photo challenge! All you need to do is choose one of the words from the list below, put on your extra warm thinking cap and head outside to snap an amazing image that represents that word. Challenge yourself to take a picture for as many words as you can and share your images with us on Facebook or Instagram to inspire others too. There’s so much to play around with this season such as late sunrises and sunsets, chilly frost, star trails, winter birds and more – so there’s no need to hibernate, grab your camera and start snapping! Once you have a photo you love, why not do something truly memorable and personal with it – like create Christmas cards for loved ones. Take it from us, there’s nothing like receiving an original card. So then, are you up for our photo challenge?